Luca Shaw too, are they maybe sponsoring the SC Team? Maybe this is off topic, but this is lixada on his head, it looks like helmet in this review, am i right? The syndicate insta trolling was good but now that we have bots we know we’ve really made it! 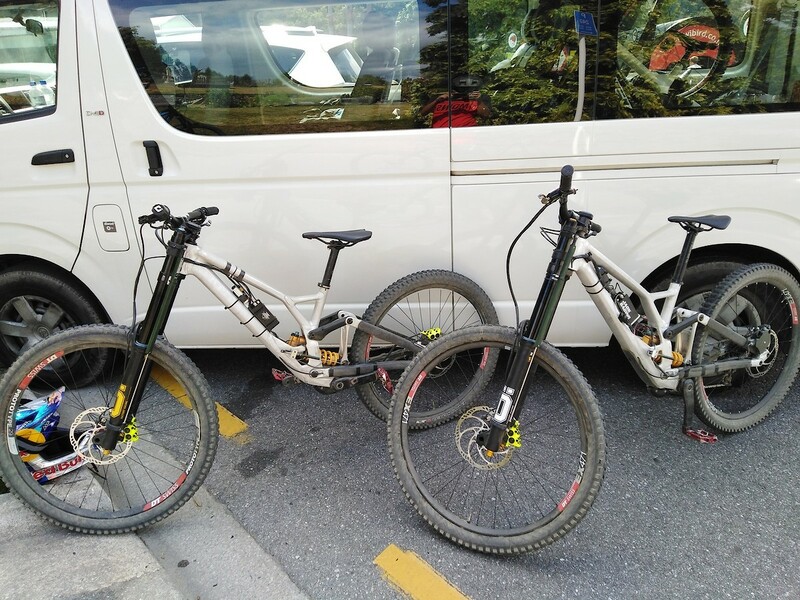 Mismatched wheelsize on the Demos? 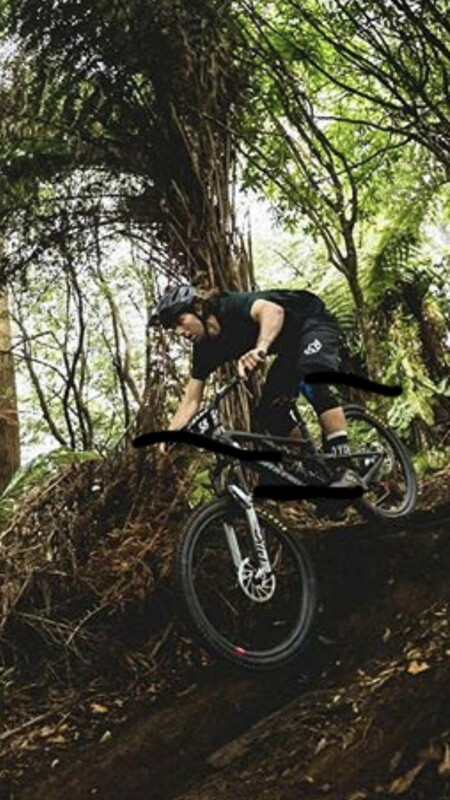 He's referring to the logos being blacked out on the front tires of both bikes. Maybe it will be similar to the 'Lyrik Ultimate' which sounds like an updated damper but similar/same chassis. 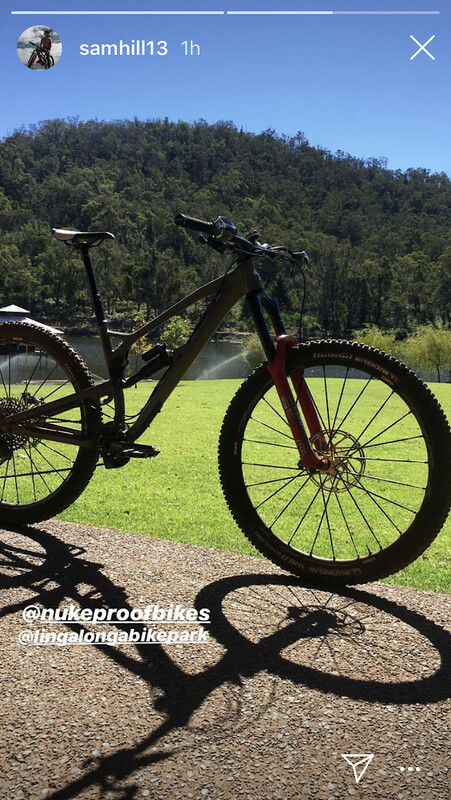 for bike-specific stuff, hit this thread - https://www.vitalmtb.com/forums/The-Hub,2/2019-Downhill-Tech,10443?page=6 - the silver fork is already in there. 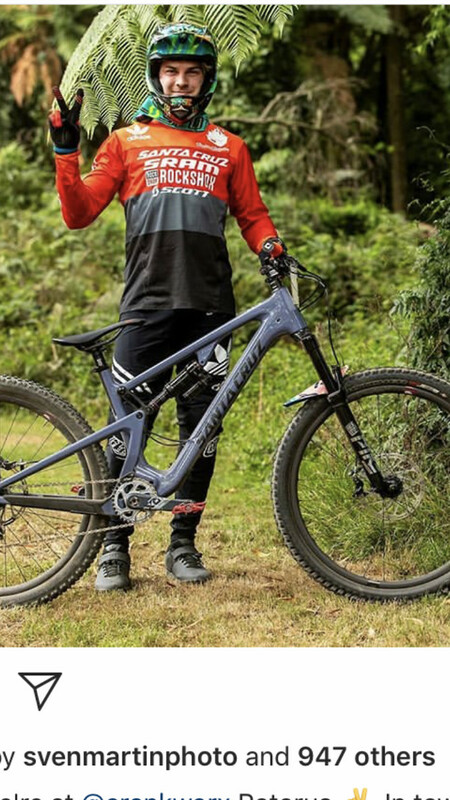 I know Richie Rude wasn't doing EWS round 1 - has Yeti kicked him off the team fully??? 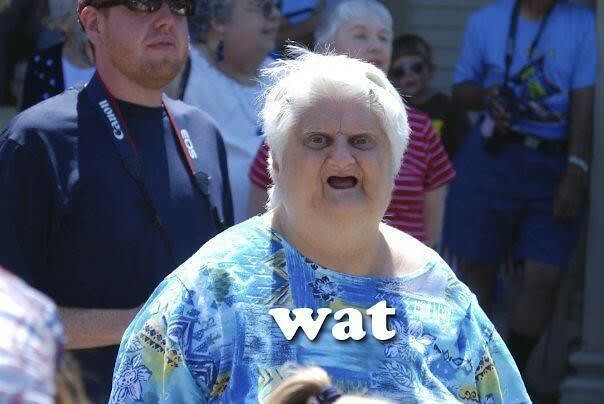 He’s still on the team, specifically said he wasn’t doing round 1 but didn’t say why. 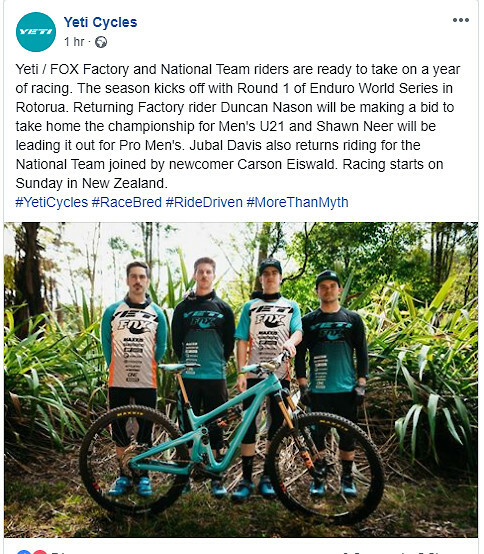 Also not listed on the EWS site for Team Yeti for 2019. Thanks. I apparently was also misspoken above. There are two Yeti teams listed. Factory and Devo, I didn’t pick up on that before my #fakenews fingers started burning up. Scoop of the off-season? 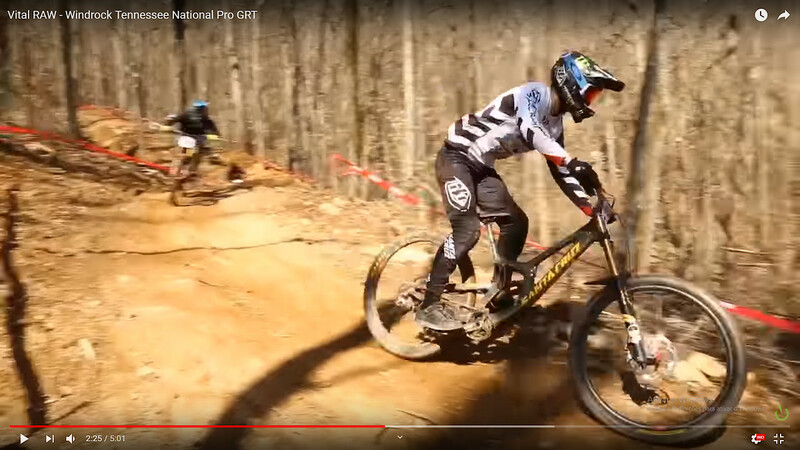 Josh racing in Maribor?!?! "Non qually party in Maribor!!!" 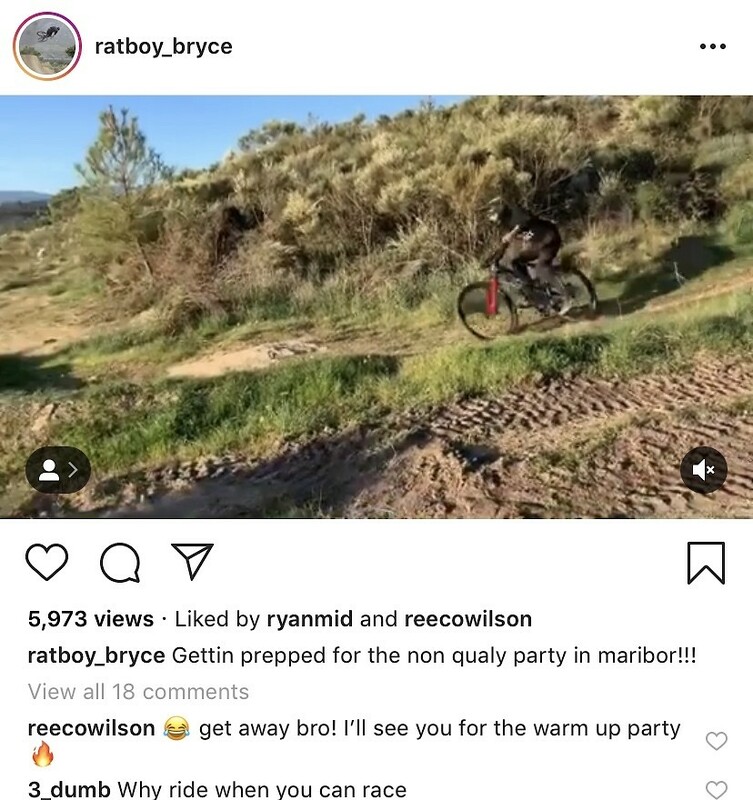 Sounds like he might just be debuting the bike and not really planning on qualifying? It'd be the ultimate just for fun 50:1 thing to do.